Since 1967, Scovill Zoo has been an important part of the Decatur community. With 400 animals spanning six continents, an Endangered Species Carousel, Z.O. & O. 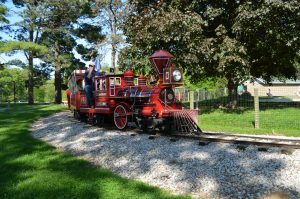 Express Train, community-built Project Playground, summer camps, adult volunteer opportunities, and mobile classroom programs, the zoo contributes to the education, enjoyment, and quality of life of residents and visitors from across Central Illinois. 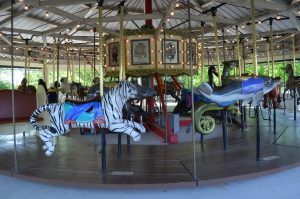 Scovill Zoo is located in the 62-acre Scovill Park overlooking Lake Decatur. Fifteen acres of exhibits attract visitors from 285 zip codes. 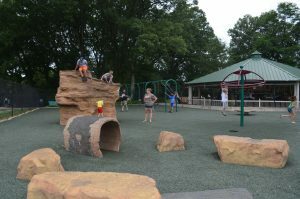 This unique recreational, educational facility offers visitor contact with exotic and domestic animals, horticultural displays and gardens, natural wooded beauty, and family picnicking, all within the confines of a park that recently benefited from the addition of a sculpture park funded by the Howard G. Buffett Foundation. In 2017, a gallery featuring photographs captured by Howard Buffett during his travels in North America, South America, Asia, and Africa, was unveiled in the zoo’s Environmental Education Center.This new addition highlights the connection between Scovill Zoo’s conservation efforts and these beautiful animals in the wild. Knowledgeable staff and friendly volunteers strive to make the facility a fun, educational destination for people…and a safe, happy home for the animals.